Who said parasites are ugly creatures? 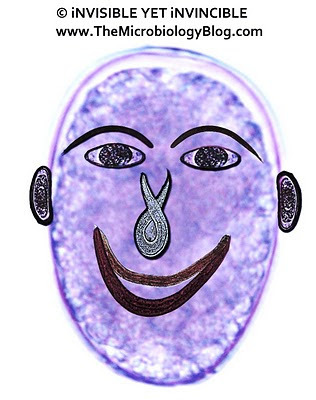 Cystoisospora belli oocysts as eyes, Strongyloides stercoralis larvae as eyebrows, nose and lips, Enterobius vermicularis eggs as ears and Diphyllobothrium latum as face, make up this cartoon. 1. What if Microbes use Facebook?